No, that’s not a misprint in the title. 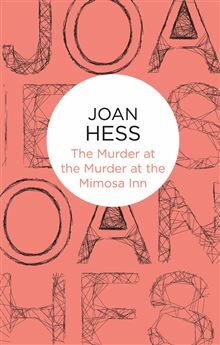 Following her success at catching a murderer in Strangled Prose, Claire Molloy, academic bookstore owner, widow and mother, heads to the Mimosa Inn where there’s going to be a murder-mystery weekend. Her teenage daughter is less than impressed to be dragged along, but Claire herself is rather surprised to see Peter Rosen turn up as well. Lieutenant Rosen works for the local CID and has dismissed this sort of event as a waste of time. So why has he turned up? I really enjoyed Strangled Prose, the first book in the series of to date nineteen books. 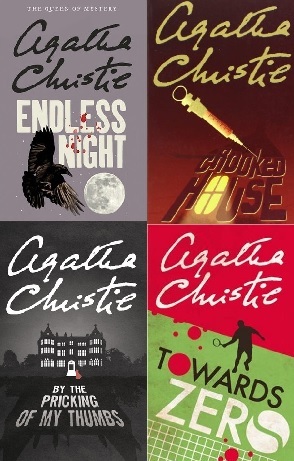 The most recent was published in the US in 2013 in hardback, so I presume the series is still ongoing, but Bello Press, an imprint of Pan Macmillan, have released the whole lot as ebooks. They sent me a copy of the first one to review, but this one was bought with my own pennies as I enjoyed the first one so much. But was it a one-hit wonder? Nope. If anything, this one is even better than the first. First off, let me mention again how much I love the voice of the narrator, Claire. She’s got a great line in sarcastic humour – her list of suspects for the fake murder includes one of the guests simply because she doesn’t like them very much – and her motivations for sticking her nose into things, namely that she thinks she’s the best person to spot the killer, fake or otherwise, is refreshingly simple. For a large part of the book, I was reading with a massive grin on my face. I’m sure a few readers of this will be rolling their eyes at the old cliché of a murder at a murder mystery weekend, although (and I’m sure I’m forgetting something obvious) I can only think of Dead Man’s Folly as a classic example. But this is rather niftily used by having Claire as being a participant of the weekend. Poirot was on the outside of events in his outing, but here Claire has the disadvantage, for the opening section at least, of not knowing which events (and which people) are genuine and which are simply play-acting. It’s a clever move that has the reader second guessing their own theories. I was certainly suckered into believing something was real early on. And the mystery is properly clued – the suspects are even assembled at the finale (and for a sensible reason) – and the crime is solved properly, rather than a) by a process of elimination or b) by working out that the person pointing a gun at you is probably the murderer. There’s a small group of suspects, but Joan Hess keeps them all involved by dismissing possible motives one at a time, rather than dismissing actual suspects. I certainly wasn’t sure who the killer was before they were revealed. 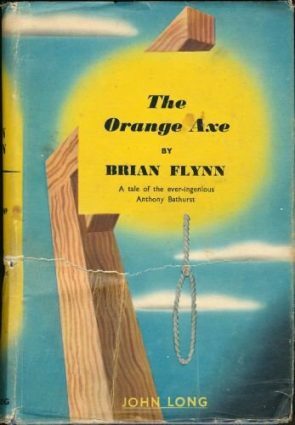 A plea to my readers – don’t dismiss this book because it feels like a cosy mystery. While it just about falls under that category, it’s a genuinely entertaining, funny and proper mystery, that doesn’t outstay its welcome like some books I could think of. Highly Recommended. Things sounds great Steve – and thanks for the admonition but I would probably have dismissed it our of hand as a ‘cozy’ that i was unlikely to enjoy – now I will definitely get it – ta! But it’s only available as an ebook over here? Have you finally surrendered? Nah, I’ll have to order a paperback through a German re-seller – just ordered STRANGLED PROSE in fact (no idea that will take to arrive). Hope you enjoy it – I certainly did (although this one is even better). I’ll let you know – I always try to start at the beginning if I have the choice, though of course this is, more often than not, not the best book of a series! I outlined my issues with the first one when I reviewed it. I completely agree with you regarding reading series in order – my exception to this seems to be Simon Brett, where I’m reading both the Charles Paris and Fethering books from both ends, so to speak – old books from the start and any new releases, as Severn House let me review them. Fair enough mate – it’s more relevant in some than in others certainly! Can’t see it making much of a difference with Brett though – all in good fun either way,. If you do, do let us know what you think of it. Love the title. I like anything that’s a play on words. I’ll look out for the book, thanks. Ebook only in this country, I’m afraid. Very enjoyable read if you’re in the mood for something light.